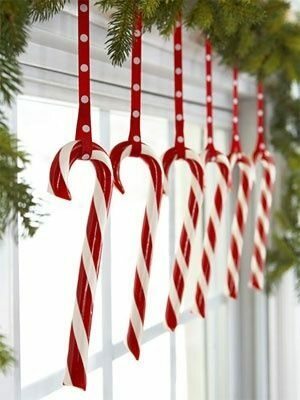 Home / Salvage Ideas / Christmas Craft Salvage Ideas! 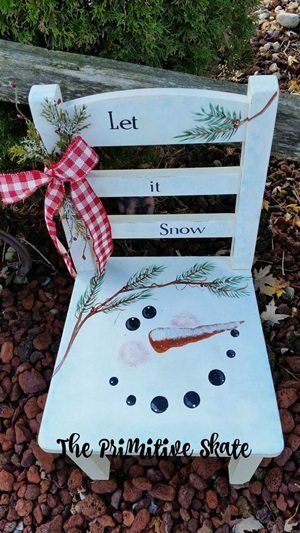 Home / Salvage Ideas / Salvage Ideas / Christmas Craft Salvage Ideas! December is the one month of the year where magic follows you wherever you go. Glistening lights, joyful tunes and the sweet smell of mulled wine are never far away, and neither are the decorations! If you’re fed up of getting the same decorations box out of the loft and using the same tatty tinsel year after year, we think it’s about time you gave your ornaments a little update! We have comprised our top 10 Christmas salvage ideas for the special season, giving you inspiration for transforming our reclaimed products into something magical that you’ll be proud to show off. Do you want something simple but effective this Christmas? 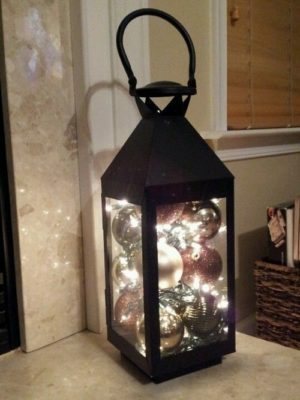 Take our small, medium and large lanterns and fill them with Christmas lights to create a key feature in your living room this festive season! Whether you usually have a real or artificial Christmas tree, this year why not step away from your tradition and make your own! Our reclaimed wood would be perfect for creating something spectacular! 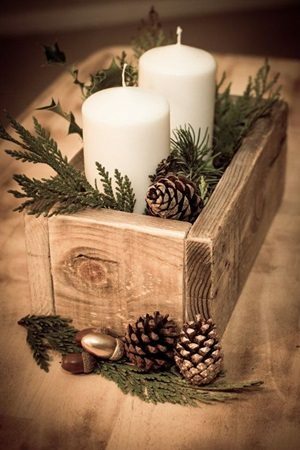 Begin by cutting up your wood into even sizes to create a base for the tree, ensuring all wood is sanded down. Once you have completed the base, begin to cut other pieces, gradually decreasing in size to create a pyramid effect. 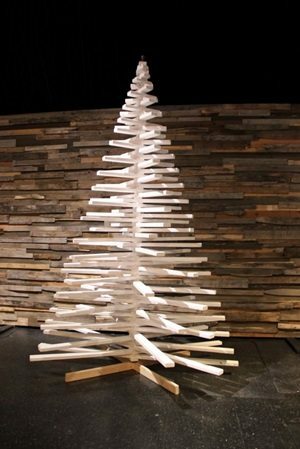 You will need one long centre piece of wood to be the back bone of the structure to nail the other pieces into, and from here you will begin to build the Christmas Tree shape. It is then time to decorate! 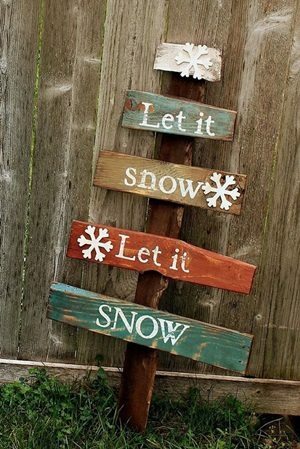 Whichever type of tree you opt for, you will need some decorations! Take a step back in time to your early school days and handcraft them yourself! 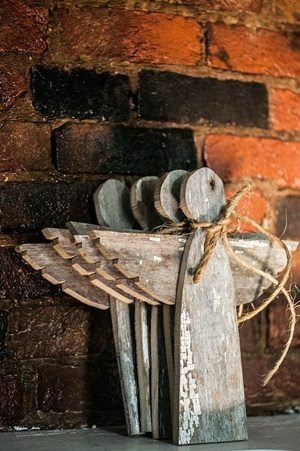 Leftover bits of wood are perfect for making an angel to hang off the branch or to sit prettily on top. Welcome your guests with season’s greetings with this fantastic entrance sign! Create this masterpiece with some of our Used Oak Plank Flooring. No matter what age you and your family are, it’s always fun to start counting down the days until the big day finally arrives! 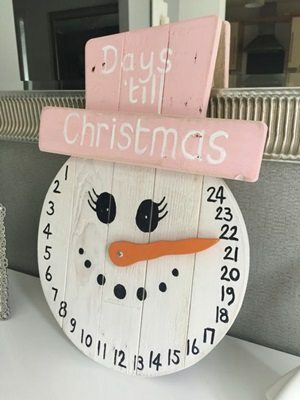 Get into the Christmas spirit as soon as December hits with this clever countdown clock. Simply take some of our reclaimed scaffold boards, add a lick of paint and draw on some numbers and you’re good to go! Impress passersby with a Christmas character on your front door. 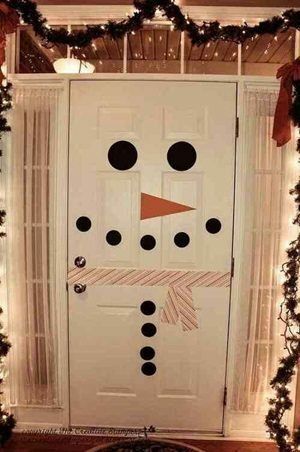 Our wooden door would be ideal for upcycling into this festive masterpiece. Looking for a centre piece to add to the table for your Christmas dinner? Take our original iron planters or rainwater hoppers and make your own! Perfect for holding cutlery, candles or even the crackers! To ensure Santa stops off at your house, create something eye-catching! 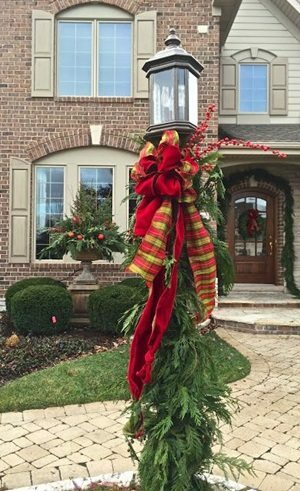 Decorate one of our Reclaimed Lamp Posts with red ribbons and wreaths to ensure he doesn’t miss it! Stockings are a big part of the fun for children, so give them something to get excited about by hanging them up on the mantel piece with one of our reclaimed coat hooks! Next post: Christmas Kitchen Creations!